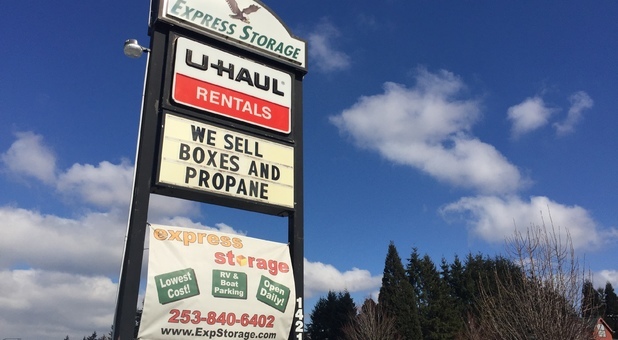 South Hill Express Storage is conveniently located in the heart of the South Hill community of Puyallup, Washington. It is next to Walgreens and across the street from AutoZone Auto Parts. Out & About Burgers is in our parking lot. We are also a U-Haul Authorized Dealer. 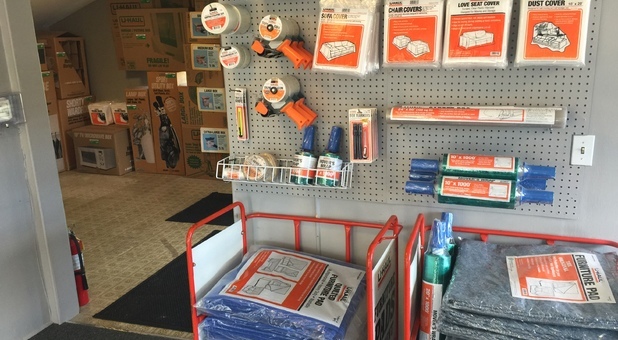 Our South Hill Express store is perfect for surrounding communities such as Alderton, Frederickson, Spanaway, Parkland, Graham, Eastonville, Bonney Lake, Orting and Sumner. RV & Boat Parking Only. No cars. Whether you're an outdoorsy type with a boat to store or a business that needs to clear out some space in the office, we can help! 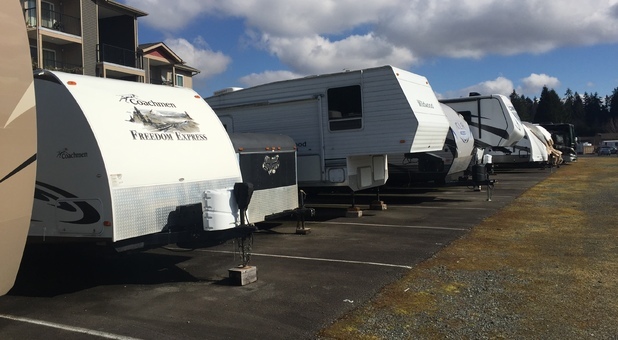 We offer a wide range of mini storage options and RV parking spaces that are perfect for all walks of life. The safety of our tenants' belongings is our number one priority. 24-hour surveillance cameras oversee our property at all times to ensure the safety of your belongings, in addition to an electronic gate and fenced perimeter. 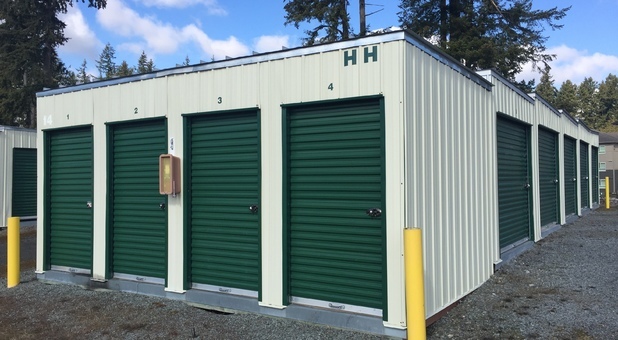 It doesn't matter if your possessions are valuable or priceless, we'll make sure they stay protected at our storage facility. Call us today, and schedule a tour of our secure location now! Trailer Storage too close together. Trailer is hard to get in and out of assigned space. Trailers are too close side by side and front to back. Small turning space to back into assigned space. Space numbers are hard to read or are not there altogether. Can't change or update personal information on line. 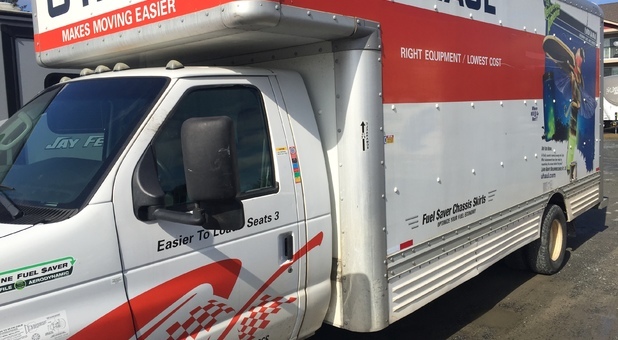 Booked the trailer through U-Haul.com, but the folks at the location answered my questions and assured me I would have the equipment I needed upon arrival. Equipment was there, in great order and the staff was very friendly and helpful. When I came to return the trailer, their staff ran out to assist me putting it back. Both the pickup and drop off were quick and painless.